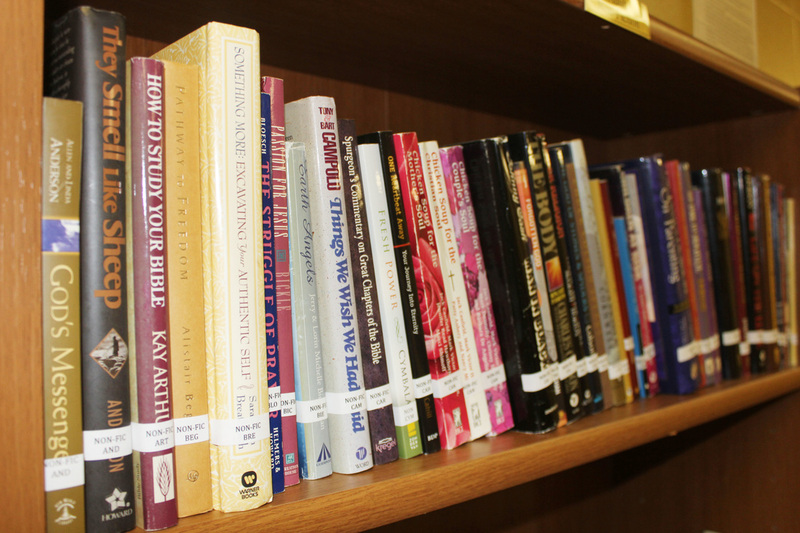 The church Library exists to provide you with faith-based Christian media including books, videos, and other forms of media to those who desire to dive into God's word and learn more about His ways. In order for you to get to know God on a more personal level, the Library provides resources written by best-selling authors, pastors, Christian scholars from around the world. To check out a book or other media resource, you may visit the church office Monday through Friday or stop by during elev8 from 5:30 to 6:30 on Wednesday nights.